Attorney Thomas Fox looks back on 2010's most memorable enforcement actions. A Missing Cornerstone Of Enforcement? 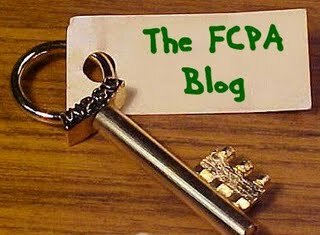 A look behind the DOJ's tally of individual prosecutions under the FCPA. It's not just about corporations anymore. FCPA enforcement is now about individuals too -- and in a big way. Here's this year's FCPA roll call of real people: Gerald and Patricia Green, whose Foreign Corrupt Practices Act trial opened in LA this week. Frederic Bourke and William Jefferson went on trial in June; both were convicted of conspiracy to violate the FCPA. Awaiting trial in California are six former employees of Control Components Inc. -- Stuart Carson and his wife Hong (Rose) Carson, along with Paul Cosgrove, David Edmonds, Flavio Ricotti and Han Yong Kim. Earlier this year, two other former CCI executives pleaded guilty to conspiring to violate the FCPA. Mario Covino and Richard Morlok are scheduled to be sentenced in January 2010. FCPA prosecutions are also pending against former employees of Philadelphia-based Nexus Technologies Inc. -- Nam Nguyen, Kim Nguyen and An Nguyen. Joseph T. Lukas, also from Nexus, pleaded guilty in June to violating the FCPA. His sentencing is scheduled for April next year. Juan Diaz and Antonio Perez of Miami pleaded guilty in April to a one-count criminal information charging them with conspiracy to violate the FCPA. They arranged bribes to Haitian officials in exchange for telecommunications contracts. They're waiting to be sentenced. Jeffrey Tesler and Wojciech Chodan were arrested in March in the U.K. on U.S. indictments in connection with KBR's Nigerian bribery. And Ousama Naaman was arrested in July in Frankfurt, Germany, charged in a U.S. indictment with violating the FCPA under the oil-for-food program. All three are facing extradition to the U.S.
An indictment isn't evidence or proof of guilt, of course, and every accused individual is presumed innocent. But beyond being an "enforcement action," an indictment is a full-blown personal tragedy -- with emotional damage, family stresses, economic hardship, and professional wreckage. It takes a Scott Turow to imagine and describe the awful consequences. Aside from the human cost, what happens when someone is indicted? First they're arrested and they formally become a defendant, and their indictment is (usually) unsealed and made public. Federal criminal cases can also begin without an indictment when the lead investigator swears out a criminal complaint called an "information." Within hours of arrest, the defendant makes an initial court appearance. He hears the charges against him, the judge tells him his rights, and counsel is appointed if he can't afford to hire one. Stuart Carson's April 9, 2009 statement of constitutional rights can be downloaded here. After the hearing, the defendant is remanded to the custody of the U.S. Marshals Service or released on conditions set by the court -- such as requiring a secured bond, forfeiture of a passport, electronic monitoring, home confinement, etc. * Stuart Carson's April 11, 2009 amended conditions of release can be downloaded here. Does the defendant waive a formal arraignment, at which the indictment would be read in its entirety? He usually does. Does the defendant request a trial by jury? He usually does. If not, the case will be decided by the judge in what's known as a bench trial. If formal arraignment is waived the hearing might be over in five minutes. Under the Speedy Trial Act, criminal defendants are entitled to a trial that begins no later than 70 days from the date the indictment or information was filed, or from the date the defendant appears before a judge, whichever is later. White-collar defendants usually waive the right to a speedy trial; the judge can also waive the speedy-trial requirements in the interests of justice. Then it's time for pre-trial motions. Common defense motions include change of venue, exclusion of certain pieces of evidence, and requests for access to evidence held by the prosecution. What about the trial? Well, more than 90 percent of federal criminal defendants don't have one. They plead guilty during the pretrial phase as part of a plea bargain, in exchange for the prosecutors' dropping some charges or recommending a more lenient sentence. * The Bail Reform Act of 1984 presumes the defendant should be released on personal recognizance or unsecured personal bond unless it will "not reasonably assure the appearance of the person as required or will endanger the safety of any other person or the community." This description of federal criminal procedure is adapted from information provided by the Administrative Office of the U.S. Courts here.